Opened in 2005, the RLRHC is operated by the Municipality of Red Lake and governed by a seven member board of directors appointed by Council. ​Trevor Osmond is an archaeologist and museum professional with extensive experience in the discovery, preservation, and display of Northern Ontario’s rich cultural history. He holds an MSc (Arch.) degree from Bradford (England) University and an Advanced Diploma in Applied Museum Studies from Algonquin College (Ottawa). In his tenure with the Heritage Centre he has successfully merged the disciplines of science and education to bring best practices to the Centre’s exhibits and programs, and to create a setting where children and families are welcomed to explore Red Lake’s past and present. Since taking the the position of Director, Trevor has sought to increase the number of events, programs and exhibits each year. As a result the Heritage Centre's attendance has never been higher. 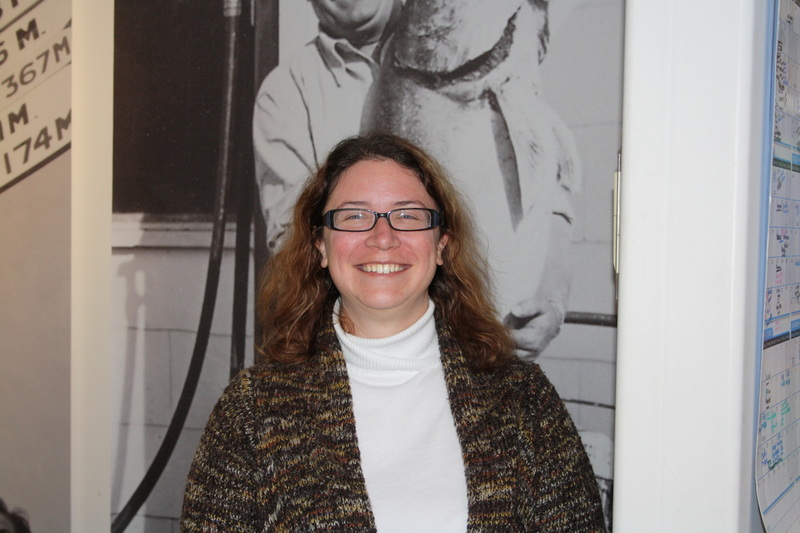 Lisa Hughes is a museum professional with experience in museum collections in community museums, historic sites and school programming. She holds a Bachelor of Arts from University of Waterloo and a Graduate Certificate in Museum Management and Curatorship from Fleming College. Lisa looks after the Heritage Centre's sizable collection, coordinates the volunteers and designs the exhibits. She is responsible for handling incoming and outgoing loans, and donations. Lisa has also been part of the interview series that has been conducted in the past two years. As part of the series she formulates questions and provides a support for those being interviewed. Abby is a graduate of Algonquin College’s Museum Studies program, where she combined her love for programming planning and her ability to problem solve. Abby joined the Red Lake Regional Heritage Centre team right out of school. Abby has worked as a Student Programs Assistant at the Canadian Museum of History, as a summer student at the Fulford Place and also at the Homewood Museum. ​With these experiences Abby will participate in developing the RLRHC's programming schedule and running a wide variety of educational experiences.